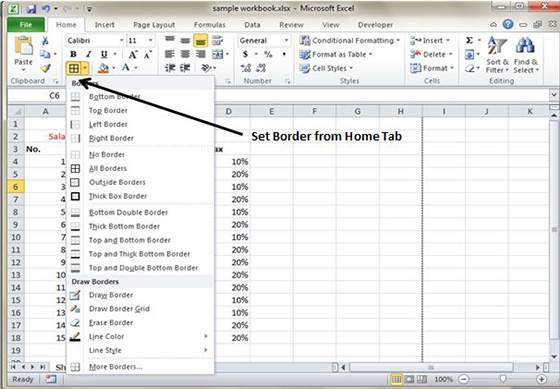 MS Excel offers smart ways to apply borders to the cells. 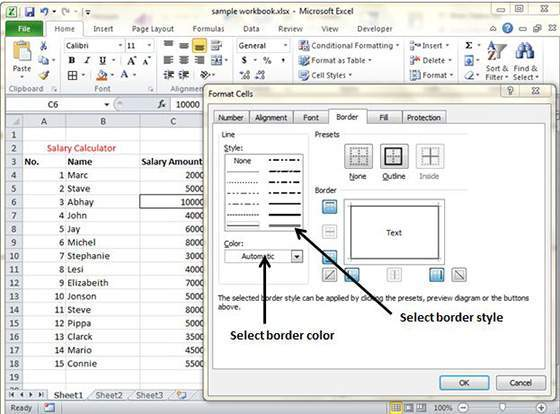 Right click on selected range of cells, followed by Format Cells, Border Tab and finally select the Border Style. 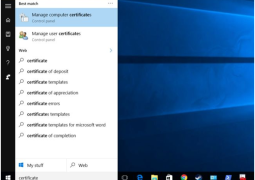 Now you will be able to apply border by going to the Home Tab, followed by Font group and Apply Borders. 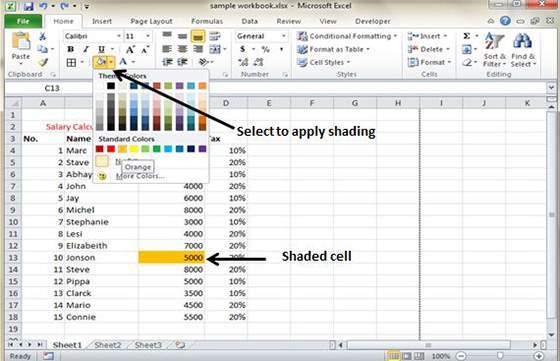 You can add shading to the cells by going to the Home Tab, followed by Font Group and simply select the color.